When you think of operating an online business, you probably see an uncapped opportunity to grow your money. And why not? The online world is made up of billions of people. Even if you sell products to a smaller group of people online, you still come away with a profitable business. But the key to do this is knowing how to do this right so that you can position your online efforts to succeed. So you want to know how to open an online business? Good. There are different online business models we can focus on but we will choose to focus on affiliate licensing since it provides a sizable return for your efforts. 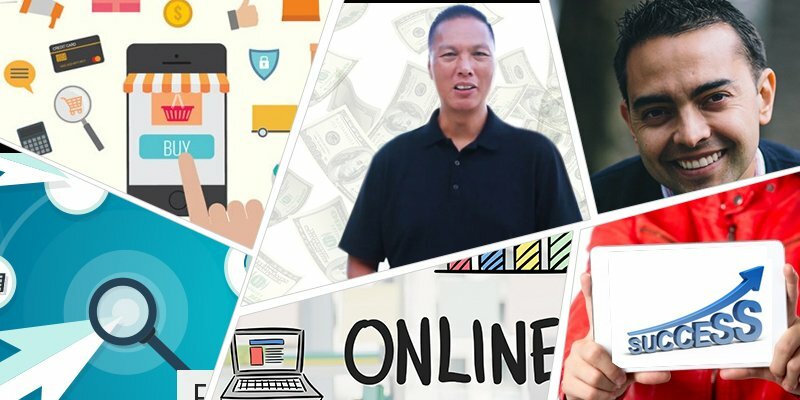 You have chosen to start an online business because you want to produce a lucrative income, well this is a very lucrative business model – when done right! First, affiliate marketing is the selling of someone else’s products through your website or online advertisements. You receive a commission for any sale that you make, and the owner of that product receives a new customer that they can continue selling to. While getting paid is nice, you only get paid once, for that initial sale. You don’t make money for repeat customer. Affiliate licensing is the selling of someone else’s product through your website or online advertisements. But instead of you receiving a commission for the sale, you will have lifetime ownership of a customer you bring to the producer. This means you get full commissions for any other products that they purchase as long as they remain active buyers. Like most people, you might be skeptical about making money online. You are so used to getting a paycheck that big money is just too foreign to you to wrap your head around. Jon Chow: He burst onto the blogging scene by showing blogging as a resource to make a strong income. He started from scratch but earned over $40,000 per month in just two years by working only two hours a day. Pat Flynn: He is the operator of Smart Passive Income, a website dedicated to showing people who to develop a successful online business that generates passive income. Mike: He went from being in debt, homeless, and a truck driver to running a successful affiliate marketing program. His story illustrates that affiliate marketing can produce a freedom lifestyle for you if you are willing to learn and experiment with your methods. If you read the success that these guys are experiencing, then you can see that success in the online world is possible. For every doubt there is a valid answer to it all, there is a guy sitting somewhere making six figures a year or six figures month! All that you need to do to experience the same results is commit yourself to learning how to implement the best systems in order to produce significant results. The best way to finding what works best for you is experimenting. Don’t expect to instantly make money when you first start. As you will learn from other successful affiliate marketers, finding success is a process – it doesn’t come easy. But once you start to gain a little momentum, you will learn what are the best processes to use to increase the returns you see. The key to success is finding the business model that you can easily operate. You don’t want to try to operate something that is too complicated for you to run successfully. Stick with works best with your skill sets so that you are making money, not losing money. Try a few different models to see how they work, only investing minimal money in each starting out. Choose to invest more money into the model that actually produces for you a ROI and eliminate those that don’t. One of the best ways to produce significant results as an affiliate marketer is by having your own blog that you operate. This way you can have greater access to your customers by collecting their email information, which allows you to stay in constant contact with them. You are able to promote the latest products through both your blog post and the emails that you send out. What is also great about blogging is that your readers are your built-in audience who trust you. You can develop your own products and get your readers to become affiliate marketers for you. They will be your best marketers, due to them already reading about the success that you have been having as an affiliate marketer, and them wanting to experience the same results by selling your products. There are many ways to make money online, and affiliate marketing is one of those many ways. If you want to find an opportunity that can provide you with an extra income or replace your current income, look into affiliate marketing to see it as great opportunity for you to pursue. Why You Should Start a Business Immediately No Money To Start Your Business in Singapore? Obtain Funding From People! Start a Company with these 65 Singapore Home Based Business Ideas Can a Personalised Employment Pass (PEP) holder start their own business in Singapore?